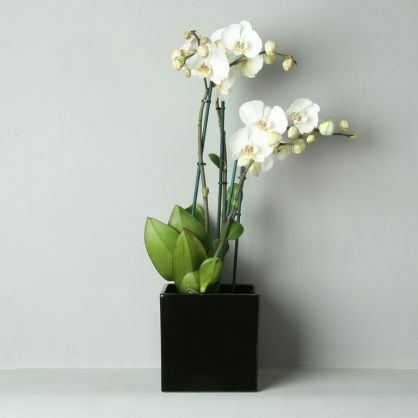 This beautiful white orchid planted in a square shaped black pot will look great in any home. Available for next day local* delivery only. Approximate measurements 65cm high x 16cm wide. Available for next day delivery only. 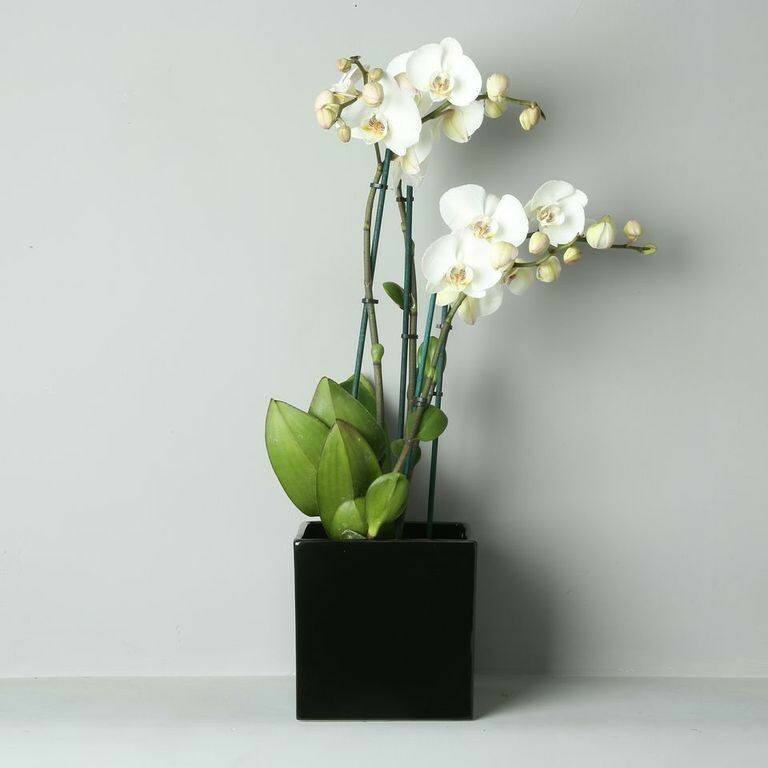 Please note, Due to the plant being a natural product there will be variations in the number of stems, height and shape of the plant. However their will never be any less than two stems within the arrangement. *our delivery areas are lisited in 'delivery' at the foot of the website.